Congratulations Castle Rock Bound. Almost 2500 Facebook Members! A clever name can be an excellent marketing tool for your small business — helping make your company memorable — but coming up with a good name can seem frustrating. 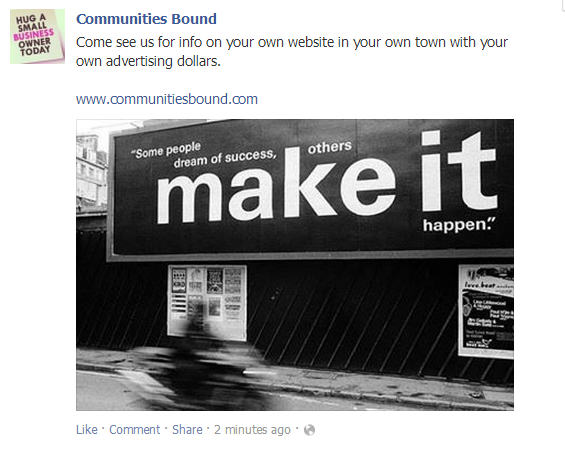 Make it happen, with your own neighborhood website. 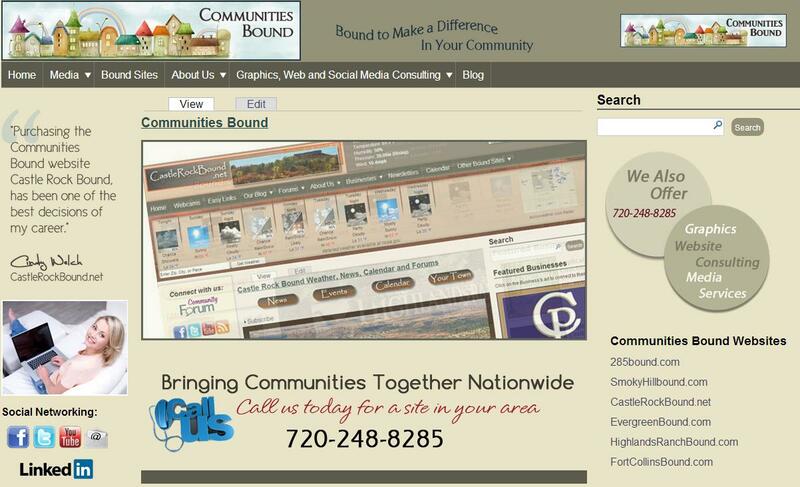 1000 Likes on our Castle Rock Bound site! Congratulations to CastleRockBound.net hit 1000 likes on their facebook page today. Castlerockbound.net did a great job this week with the fires in Colorado and we love their webcams! I-f you are interested in your own site in your own town, give us a call for a 720-248-8285 for an information packet. 11 Biggest Social Media Disasters of 2012 Mashable Some of these could have been avoided by thinking before speaking. 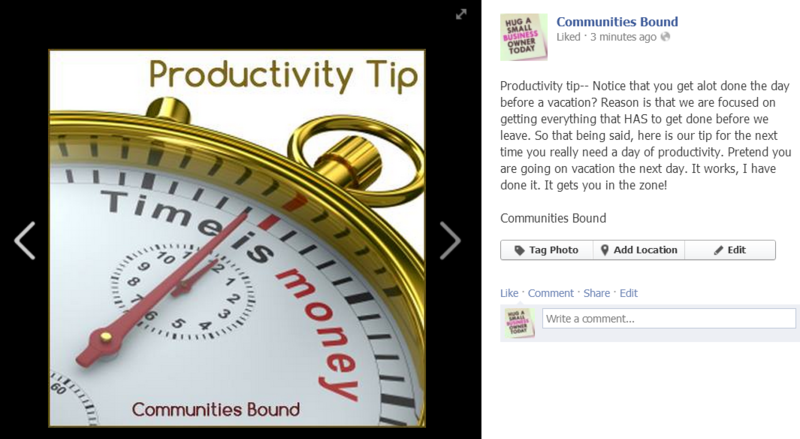 Productivity tip-- Notice that you get alot done the day before a vacation? Reason is that we are focused on getting everything that HAS to get done before we leave. So that being said, here is our tip for the next time you really need a day of productivity. Pretend you are going on vacation the next day. It works, I have done it. It gets you in the zone! One of our sites is looking for help. Please send anyone you know to us! Part to Full time sales associates. We are looking for the best sale associates to sell for us over the phone or otherwise in their spare time. If you are interested in something you can sell between other jobs or engagements we would love to talk to you. You can call us at 720-248-8285. Industry high 10% commission and starting with a start up that has a high potential for stock in the future. Website Consulting and Media Services.